Ohio Attorney General Mike DeWine filed a lawsuit last week against five prescription opioid manufacturers and their related companies. I have mixed feelings about the lawsuit, but I believe a lawsuit like this a necessity if Ohio wants to stem the rising number of opioid abuse cases Ohio sees each year. I have cringed for years each time I see a commercial on TV — paid for by a big pharmaceutical company — that speaks directly to consumers, bypassing medical experts in the process. 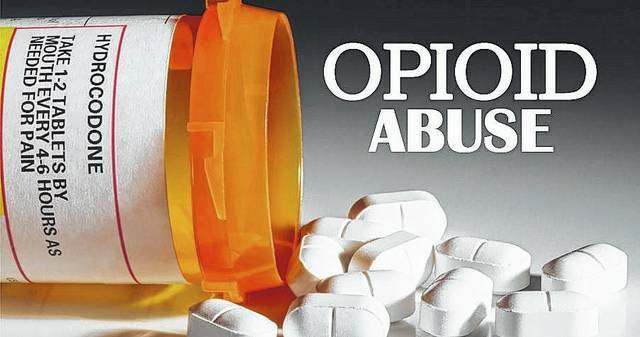 DeWine’s lawsuit alleges drug companies engaged in fraudulent marketing about risks and benefits of prescription opioids, which in turn helped to fuel Ohio’s opioid epidemic. The idea behind drug company commercials is pretty easy to figure out. The pharmaceutical companies want TV viewers to see the commercial and then make a beeline to the viewers’ family doctors or pain experts or surgeons … or whatever … and request whatever drug is being marketed at the time. It’s a brilliant strategy by the drug companies. But I don’t have to agree with it. Drug companies went straight to the consumer in a deliberate ploy to entice consumers to beg and harangue their doctors or nurse practitioners for drugs that may — or may not — be better than those already being used. I hate those commercials. That doesn’t even take into consideration the 30 minutes of warnings read by an announcer at the end of each commercial that are spoken too quickly to understand or comprehend. I thought it was an immoral act, and that drug companies should know better. However, as someone who believes it is an infringement upon free speech to stop these sorts of commercials, I’m torn. My feelings are not unlike those associated with the practice of selling cigarettes or alcohol on TV. Those commercials have been banned or curtailed for many years. And I think I’m OK with them. You cannot legislate morality. Lawmakers try to do that all the time. But, is legislating morality OK if it is for the common good? Banning cigarette and chewing tobacco commercials on TV has had a positive effect on the number of smokers picking up the habit at a younger age. It’s safe to assume the same about the increased regulation of alcohol. Just as I believe it is a right of free speech to give any amount of money you wish to any political candidate you wish, I believe companies have a right to advertise their products in the manner they wish in order to increase sales. I see no difference between the two. Or, is one akin to yelling “fire” in a movie theater … definitely an infringement upon free speech, but illegal because of the panic and harm such an incident can produce. That being said — whether I agree with DeWine’s lawsuit or not — I applaud the efforts of his office to take the fight to the manufacturers of opioids and their reckless advertising. This lawsuit will do little to stop the flow of opioids to consumers and users who shouldn’t have them. It’s a start, but only a start. If we are going to hold drug companies accountable for the drugs they produce and advertise and sell, that is just one part of a solution. Are we also going to hold responsible doctors and practitioners who too readily prescribe opioid-based medication to patients struggling for relief. And, if we hold doctors responsible, must we also start holding responsible the users and abusers of opioid-based medication. That’s the slippery slope we are approaching. And I don’t have an answer. But I believe any solution starts with the drug companies. Drug companies are fueled by doctors who over prescribe opioid-based drugs because they have patients who constantly come to them for relief. If there ever was a trickle-down theory in America, this may be it. So where do we start? With the drug companies, or with those who abuse drugs made to easily available by drug companies and doctors. Public opinion has changed in recent years. I think the public is more willing now then they were 10 years ago to foot some of the bill to treat those who are serious about ending their addiction to prescription drugs. I know I’ve turned that corner. I used to strictly blame drug abusers f0r their problems. But then I got to know friends and family who struggle with addiction. I know how hard they work to get themselves or members of their family or their friends clean. I have seen first-hand how drug addiction can rip families apart — and how it can bring them together — sometimes at the same time. I love the friends and family I know who have struggled with addiction and I think about their struggles daily. I know how hard they work daily to keep their lives from coming unglued again. Still, how much must the public pay to help someone else overcome an addiction problem? Do we pay for one treatment program? Or two? Or three? I don’t know that answer either. What I do know is that lawsuits — on their own — are not going to solve this problem. If consumers — and elected officials — think suing drug companies is the answer, they are dead wrong. Because if nothing else changes, the dead will continue to pile up. It is going to take a combination of things to slow down or stop solve opioid abuse in Ohio and nationwide. Tighter rules and regulations may help, but only in concert with a lot of education. I’m talking about education for children, for teenagers, for young adults and for senior citizens. It is also going to require a willingness of doctors and practitioners to make it a little more difficult to get prescription drugs, in concert with trying and recommending other ways to treat chronic pain. But mostly it is going to take a willingness from patients to demand other ways to treat their pain. Also, it may be time to find another less addictive drug to treat chronic pain … say marijuana. It will take a combination of all of these things — and more — to stop the this epidemic. Groups like MADD and SADD were instrumental in changing the way the public looked at drunk driving. There is no questions those types of groups had a positive effect. I assume their are similar groups in America that deal with the abuse of prescription drugs. Obviously, they are not vocal enough, because I know the names of none. Tiger Woods was charged with DUI last week in Florida. He was not under the influence of alcohol. He was under the influence of prescription medication that he said had an unexpected affect on him. I don’t know that Tigers’ golf game will ever be what it once was. But if Tiger Woods is looking for another calling, fighting the abuse of prescription drugs may be one that he can tackle. I can think of no person better equipped to take on this kind of project.